Cute Little Black Flowers bracelet from Paris with Love! 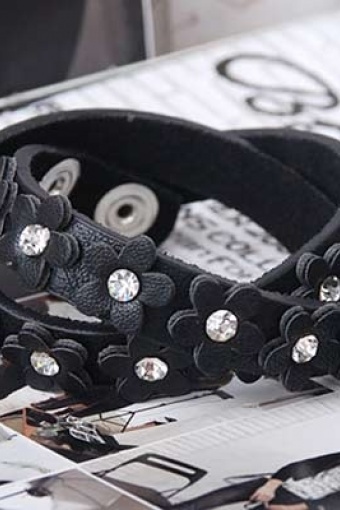 Black (artificial) leather bracelt with small flowers and beautifull strasstone details. Extra large so that the bracelet can be worn double around your wrist and it looks like you are wearing 2 bracelets.